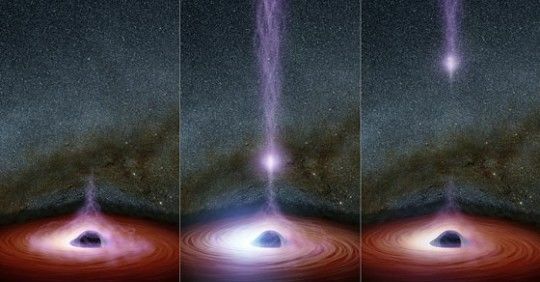 "No matter what planet you're on, lightning bolts act like radio transmitters -- sending out radio waves when they flash across a sky," said Shannon Brown of NASA's Jet Propulsion Laboratory in Pasadena, California, a Juno scientist and lead author of the paper. 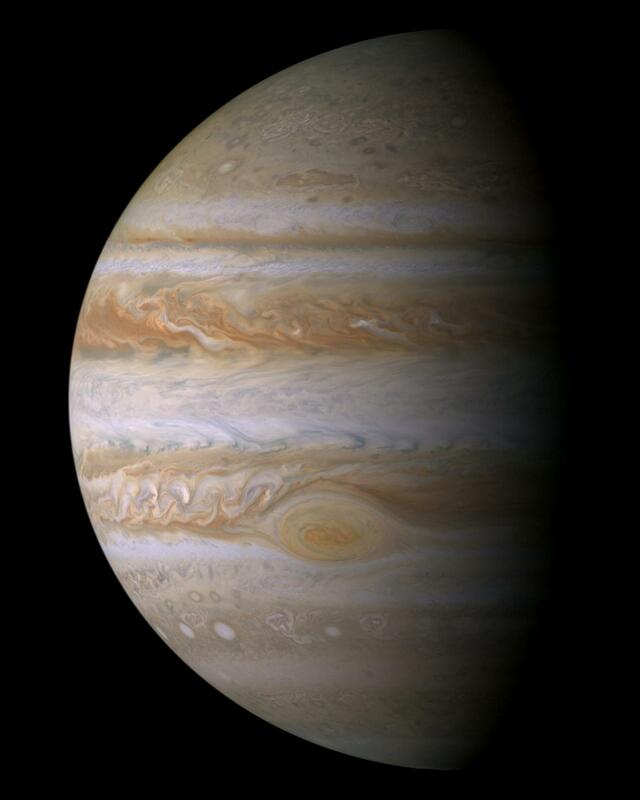 Why do lightning bolts congregate near the equator on Earth and near the poles on Jupiter? Follow the heat. 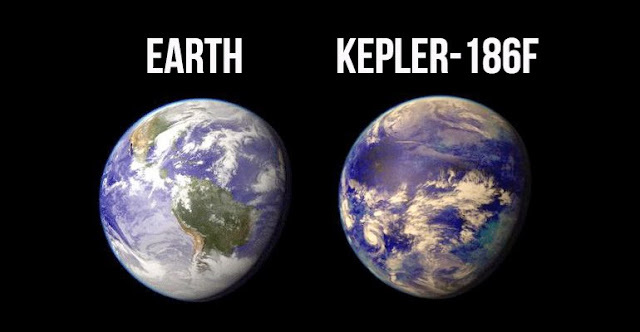 Earth's derives the vast majority of its heat externally from solar radiation, courtesy of our Sun. Because our equator bears the brunt of this sunshine, warm moist air rises (through convection) more freely there, which fuels towering thunderstorms that produce lightning. 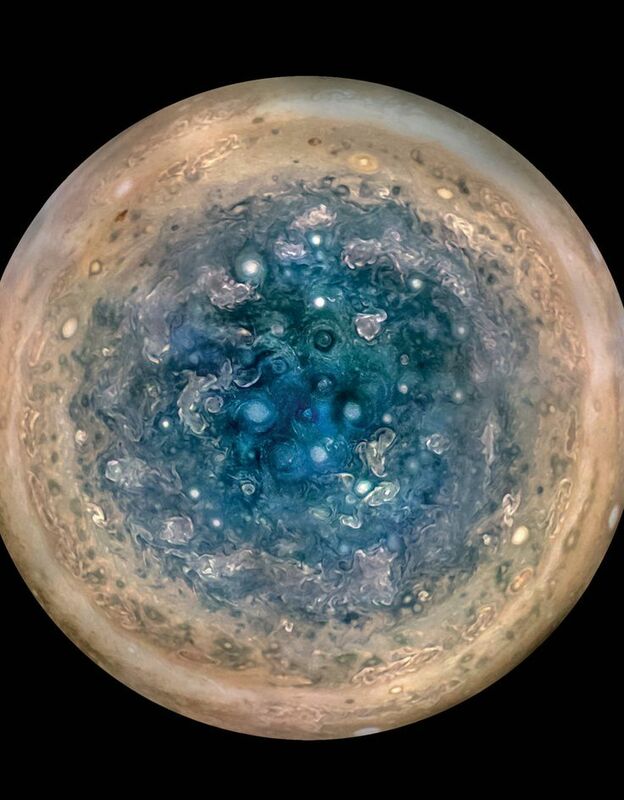 They do provide some warmth, heating up Jupiter's equator more than the poles -- just as they heat up Earth. 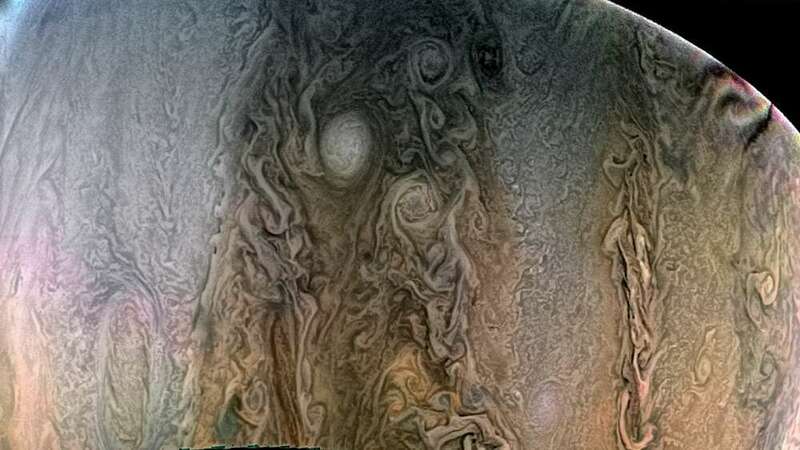 Scientists believe that this heating at Jupiter's equator is just enough to create stability in the upper atmosphere, inhibiting the rise of warm air from within. 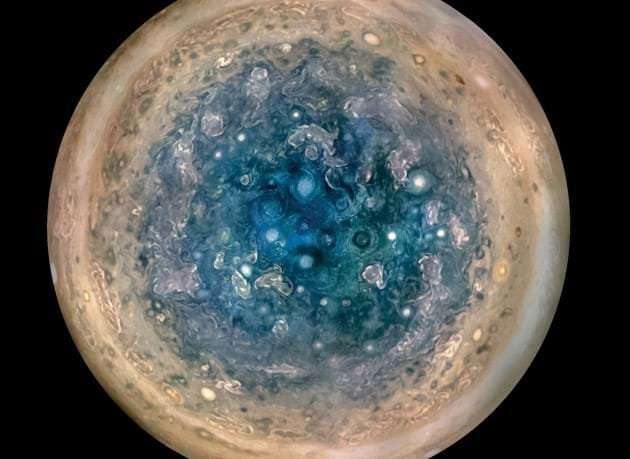 The poles, which do not have this upper-level warmth and therefore no atmospheric stability, allow warm gases from Jupiter's interior to rise, driving convection and therefore creating the ingredients for lightning. In a second Juno lightning paper published today in Nature Astronomy, Ivana Kolmašová of the Czech Academy of Sciences, Prague, and colleagues, present the largest database of lightning-generated low-frequency radio emissions around Jupiter (whistlers) to date. 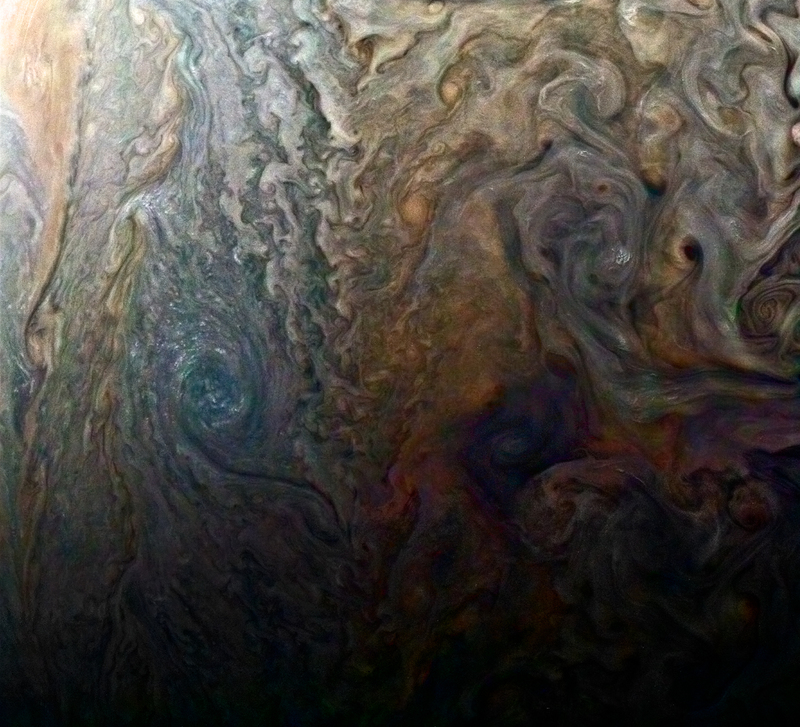 "These discoveries could only happen with Juno," said Scott Bolton, principal investigator of Juno from the Southwest Research Institute, San Antonio. "Our unique orbit allows our spacecraft to fly closer to Jupiter than any other spacecraft in history, so the signal strength of what the planet is radiating out is a thousand times stronger. 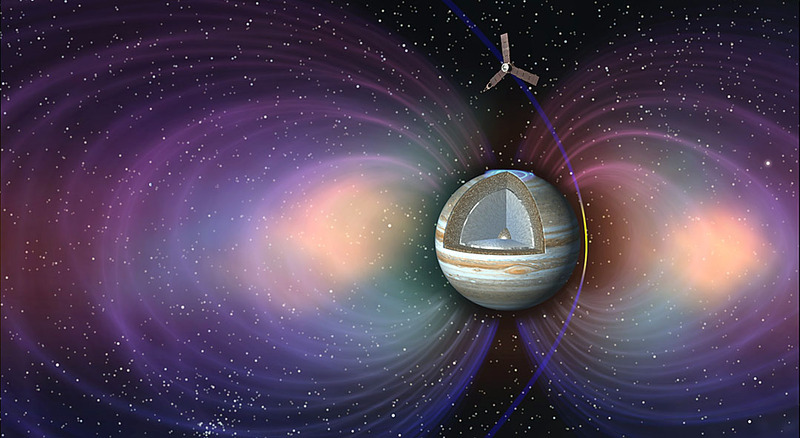 Also, our microwave and plasma wave instruments are state-of-the-art, allowing us to pick out even weak lightning signals from the cacophony of radio emissions from Jupiter. " NASA's Jet Propulsion Laboratory, Pasadena, California, manages the Juno mission for the principal investigator, Scott Bolton, of the Southwest Research Institute in San Antonio. Juno is part of NASA's New Frontiers Program, which is managed at NASA's Marshall Space Flight Center in Huntsville, Alabama, for NASA's Science Mission Directorate. The Microwave Radiometer instrument (MWR) was built by JPL. The Juno Waves instrument was provided by the University of Iowa. Lockheed Martin Space, Denver, built the spacecraft.